@ A.E. 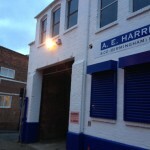 Harris is a large multi-purpose venue that is actually a vacated portion of a factory. 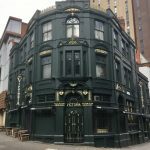 Situated in The Jewellery Quarter (not far from St. Paul’s Square) it is suitable for many different styles of performance. As well as hosting numerous visiting companies, festivals and arts events it is also home to Stan’s Cafe Theatre Company. A unique venue. 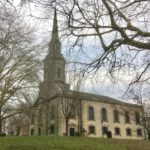 St Paul’s in the Jewellery Quarter is a historic church which sits at the heart of the JQ surrounded by a picturesque Georgian Square. Built in 1779 it still retains its original pews and galleries. The spacious churchyard is one of the finest open spaces in Birmingham and is well used in the summer. A 300 seat venue which has a great acoustic and is ideal as a performance space for both music and theatre. 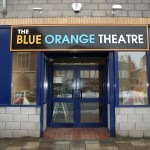 The Blue Orange Theatre is a new independent theatre situated in Birmingham’s Jewellery Quarter. It stages numerous in-house production as well as hosting visiting companies and comedy nights, classes and workshops. The venue consists of a flexible theatre space which seats up to 110, a large rehearsal studio, and spacious bar. Both the studio and bar are often also used for performances.